Posted by Jill S. Schneiderman in Iceland, learning differences, satellite images, volcanic hazards. 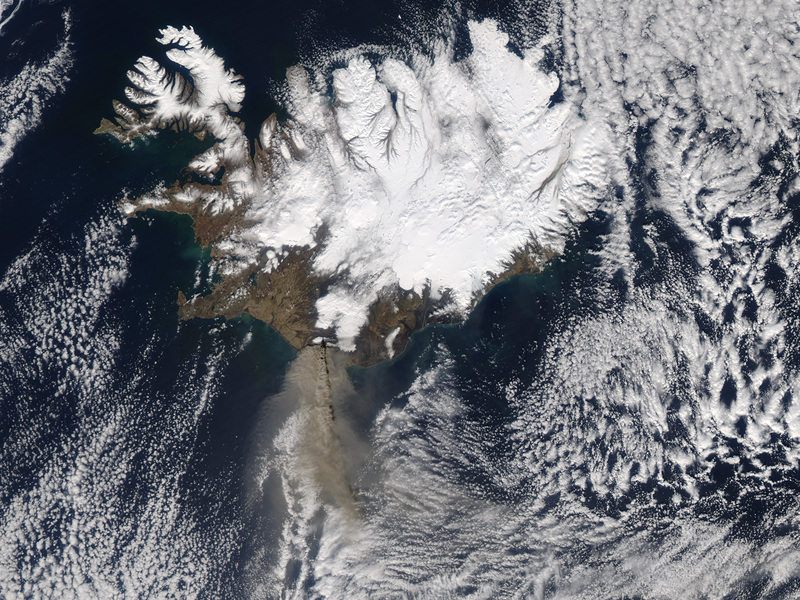 NASA’s Earth Observatory project is one of my favorite sources for images of earth processes. In my opinion, images of Earth, rather than words about it, often make the strongest statement about the place of human beings in the larger scheme of things. And for visual learners, rather than text-based learners, these images can’t be beat! Earth Observatory images of the eruption of Eyjafjallajökull Volcano, Iceland, taken between March 24 and April 19 show development and movement of the ash plume over time.